Come try it out at Putney Woods, which features beautiful forest, flat to gently-rolling terrain punctuated by steep-sided ravines, and a mix of sweet winding singletrack and wider and straighter trails! 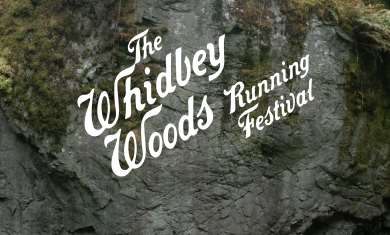 Putney Woods is a little known trail running gem of South Whidbey Island, with a mix of wider mostly-straight trails and narrower winding trails. The variety of trail sizes includes enough twists, turns and roots to make it fun, but not so many that you get dizzy. The hills are modest, with climbs that are either gentle or shorter and steeper where they climb or descend the sometimes steep-sided ridges and ravines. The area is blanketed with a lovely Puget Sound lowland second-growth forest, including conifer trees, salal, and ferns. Putney Woods County Park is about a 20 minute drive from the Clinton ferry terminal on Whidbey Island, near the lovely town of Langley. There is a gravel parking lot at the park that will serve as the primary parking location. If this lot fills, then please park along the adjacent road as directed by event staff. You can get directions using this map. Those approaching from the South will want to take the Mukilteo/Clinton Ferry. On Saturday morning the ferry leaves from Mukilteo at 6:00am, 7:00am, and 8:00am. There is often a line at the ferry dock, so it is advised to arrive at least 30 minutes before the departure that you intend to catch. The ferry ride itself takes approximately 20 minutes. The drive from the Clinton (Whidbey Island) ferry landing to the start at Putney Woods takes approximately 20 minutes. We advise catching the 7:00am ferry or the 8:00am ferry (if you don’t need much prep time on site). Whidbey Island is a fabulous place to spend a weekend! Consider staying in the cozy town of Langley. The nearest camping to the event site is at the south end of the Island County Fairgrounds, located along Langley Road about a half mile walk or drive from downtown Langley. Call 360-221-7950 for information. There are also a few State Parks and a county park farther north on Whidbey Island that offer camping. Fall 2019-Fall 2020 design coming in 2019! Want something a little different? We’re planning a checkpoint run at the same place on the same day. What is a checkpoint run? 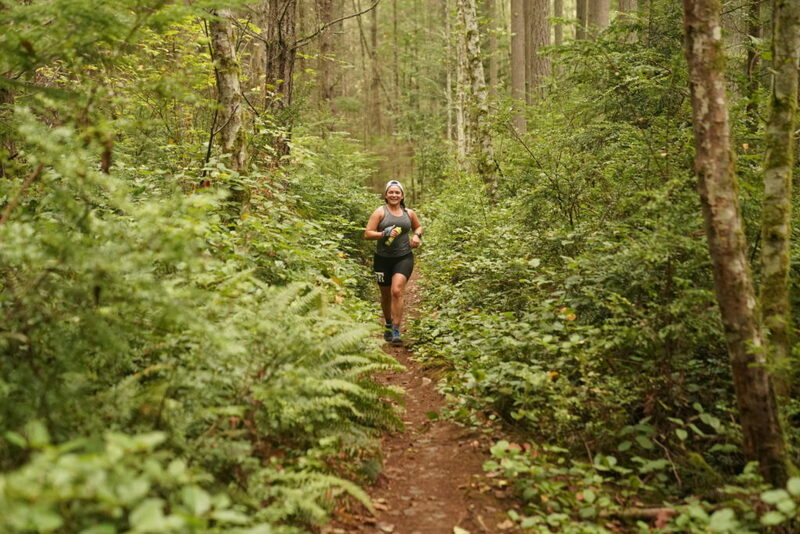 It is a smashup of a point-to-point navigation race and a trail run, with a strategic twist, and also a tiny bit of DNA from the infamous Barkley Marathons. Interested? More details are here!